When I was a young urban professional (I’m no longer that young, but I am still an urban pro! ), I would relish going home to do one of three things: playing video games (e.g. NBA Live, Final Fantasy) on my PS2, watching basketball games on the tube, or listening to people talk about basketball. It was hardly enough to listen to the sports segment on TV Patrol. I had to have my ESPN or Star Sports. There were hardly any podcasts available then, and YouTube was still in its infancy, so TV really was the most accessible source of no-holds-barred commentary. One of the best shows was Hardball, which was initially shown on a nightly basis by the ABS-CBN News Channel (ANC). Hardball was, simply put, an awesome show. It had three guys talking about anything and everything connected to sports (basketball took much of the time, understandably). The first trio was composed of founder Bill Velasco, Boyet Sison, and Jinno Rufino. After a few years, it was Boom Gonzalez who took over Jinno’s spot when the latter moved on to other broadcasting spaces. (L-R): Jinno Rufino, Bill Velasco, and Boyet Sison. The hosts up until early this year (L-R): Bill Velasco, Boom Gonzalez, and Boyet Sison. No matter who was on, however, the show was full of wit, depth, and intrigue. They took on current issues with gusto and without fear of reprisal (even if there were some reprisals, I think). They always lined up great sets of guests who added color and flavor to their commentary, and, in the process, they opened up often overlooked or ignored angles when talking about the hottest sports topics. 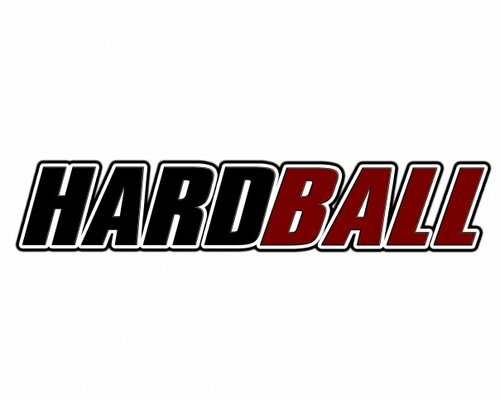 I truly love Hardball, and so it was an honor to have been able to grace some of their episodes for the past couple of years. I’ve been extremely fortunate to meet sir Bill, Papa B, and Boom (with whom I also work on S + A’s UAAP coverage) on the show along with other amazing sports personalities. We’ve talked about all sorts of basketball issues (of course), whether these were topics directly affecting players, teams, and games, or topics that were off-the-court in nature (the Snow Badua-PBA riff was a memorable one!). I don’t think they know how big of an impact Hardball has had on casual fans, diehards, and budding sports observers/pundits. Enzo Flojo: Congrats on 10 years of Hardball! Can you give me a brief history of the show, sir, and how it started/progressed? Bill Velasco: I conceptualized Hardball as a straight-forward, no-BS sports talk show, to say what people were too timid to. Fortunately, at the time, The World Tonight was being shortened from one hour to 30 minutes. So the 10:30 pm strip was available. Originally, I wanted Noel Zarate and Boyet Sison, but Noel had just signed a contract with a competitor, and Jinno Rufino was already working with Studio 23. EF: How would you describe the show's evolution through the years? BV: Originally, we had strict segments, such as the First Five, which is five one-minute discussions about the sports headlines of the day or week. Eventually, it became looser and more collaborative. Generally, we have champion teams of every kind on the show. We began thed ay after the second Pacquiao-Morales foght, which sparked a six-year winning streak for Manny. At one point, our replay was the highest-rating show on Studio 23. We've moved around a bit, from 10:30 to 9:30, 6 pm, 6:30, from daily to once a week, but we've managed to retain a strong core audience. This year, we won the Best Sports Show at Gawad Tanglaw Awards, which is kind of ironic, considering how irreverent we are. All throughout, I strive to be the voice of reason, reminding people of the big picture, the historical precedents, debunking small-mindedness and petty politicking. I choose to take a stand, wrong is wrong in any language. On this, the tenth anniversary of the show (it was actually last Monday, November 21), I truly wish them more power (only sir Bill and Papa B are left as hosts), and, from the deepest recesses of my soul, I hope they have ten times ten more years of airtime!